SURPRISINGLY, DARWIN’S THEORY of evolution was barely a blip on the radar of many of Europe’s leading nineteenth-century Christian thinkers. Famous conservative German theologian Adolf Schlatter made a name for himself as an enemy of German theological liberalism. Yet in so doing, he and his compatriots rarely even mentioned the name of Charles Darwin. Others, though, were conscious of the widespread public attention showered on Origin of Species, which was out in no fewer than six editions by 1872. Those on either end of the theological spectrum denounced the theory out of hand or jumped onto its bandwagon. But, for the majority of thoughtful European Christians, the decision was not at all simple. The natural sciences had made enormous strides in the nineteenth century. Scientific issues increasingly appeared in newspapers and magazines. By the waning decades of the century, educated people felt that they had to pay attention to the claims of these new “scientists.” Previously known as “natural philosophy,” the word “science” was now making its way into the English language. And scientific discoveries were making their way into everyday discussions. Darwin made things more difficult than evolutionary theorists who had gone before him. Christians were used to hearing about fossils of extinct beasts that had roamed the earth many ages ago. They knew of claims that the earth was millions of years old and that living things had supposedly evolved from more primitive forms. But prior to Darwin, it was easier to dismiss or ignore such assertions because the overwhelming majority of people, including those who would come to be known as scientists, rejected them as unsubstantiated speculation. Where was the proof? How could one even imagine proving evolution since it took place over such a long time and did not lend itself to repeated experiment? Many Catholics in France regarded the Darwinian hoopla as nothing new. They assumed it was just the same old wild speculation they had heard for decades. Back in 1802 their countryman Jean-Baptiste Lamarck had published his well-known assertion that God had imposed laws on nature that had caused living things to appear and to evolve into the forms we know today. But that kind of God, removed from the daily lives of living things, seemed to be no real God at all. Churchgoers and natural philosophers alike dismissed Lamarck’s theory at the time as pseudo-science. But, as a result of the debates over Darwin’s theory, more people than ever became convinced that evolution had in fact occurred. That did not mean, however, that they agreed with Darwin’s explanation of how it had happened. 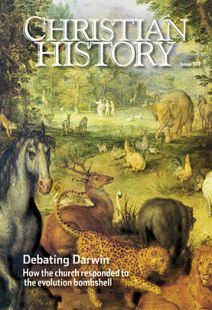 By the late nineteenth century, numerous problems with Darwin’s theory of natural selection had been identified, so many that the number of scientists completely loyal to Darwin was small compared to those who explained the now popular theory of evolution by other means. It would have been easier for Christians had there been general agreement. By now, science had grown in popularity and social status, and many people were turning to scientists instead of churches for the final word about the workings of nature. But scientists appeared to be substantially divided. If they could not agree, where did that leave the honest layperson? European Christians tended to be either conservative, liberal, or radical on the issue, and in many ways these responses have survived the test of time. Conservatives insisted that the Bible formed the basis for their scientific view of the world. But what constituted that view? Some were strict literalists who maintained that evolution had not occurred. Others allowed a freer interpretation and accepted evolution as the means God chose to produce the variety of living things. But, for all of these conservatives, God was in direct and immediate control of the process. Furthermore none of them was comfortable with natural selection. As a result, they all rejected Darwin’s theory. German theologian Otto Zöckler represented this position at its best. In 1861 he wrote one of the earliest post-Origin treatments of the species question by a theologian. His nuanced and informed work showed an impressive mastery of history and a careful and thorough chapter-by-chapter exposition of Origin of Species. He called Darwin’s scientific achievement “epoch-making,” and carefully explained the details and the power of Darwin’s theory. But in the end, Zöckler declared that it came down to where one started. If one believed God existed and controlled the natural world, then a system that relied on the pure chance of natural selection was incompatible with a biblical view. In spite of being thoroughly familiar with the work of Darwin, Lyell, and others, Zöckler rejected their estimates of the rate of geological development and pointed to the lack of consensus about the meaning of so-called human fossils. He himself saw no reason to date the creation of the human race farther back than around 6,000 years. More liberal Christians felt themselves free of a need to stay close to the letter of Scripture. They had little trouble accepting evolution. But they did balk at accepting Darwin’s version, specifically the selection of chance variations. Darwin had conceded in Origin of Species that the laws governing the production of variations were as yet unknown. In 1867 George Douglas Campbell, eighth Duke of Argyll (a Scottish politician and writer on scientific topics), argued that when these laws were found, people would see that they were not blind chance but expressed God’s intent for creation. Bishop of Exeter and later archbishop of Canterbury Frederick Temple noted in an 1884 lecture—as the Duke of Argyll had before him—that Darwin’s theory would remain incomplete until humans learned the laws governing variations. Unlike the duke, Temple ignored the challenge presented by the role of chance in natural selection. He thought that God acted by programming history perfectly so that there was no need for God to intervene to correct it. By the end of the century, other liberal theologians, like the 11 Anglican clergymen who contributed to the volume Lux Mundi (1889), harmonized Christianity and evolution by declaring that Christianity was itself but a phase of a great evolutionary law. Here again the emphasis lay on the evolutionary process alone, almost as if one could ignore the means Darwin had said governed it. Finally, radical theologians declared that neither science nor religion could provide final knowledge of the natural world. It was the scientist’s responsibility to uncover workable theories that helped humans to manipulate nature. But people must not mistake these theories for the final truth of nature. German theologian Wilhelm Herrmann, a professor at Marburg University, wrote that metaphysical declarations about nature’s truth had no place in either natural science or religion. People of faith must give scientists the freedom to investigate nature with whatever theory they wished, while religion concerned itself with ethics and morality. Even though Darwin’s theory appeared to force the question about whether nature had a purpose, according to Herrmann neither the scientist nor the person of faith could declare that they knew the answer. To do so would presume they somehow knew the mind of God. But human thought, by definition, was restricted by space and time from understanding such matters. Any such declaration either by a scientist or a person of faith was a matter of belief, not knowledge. Frederick Gregory is professor emeritus of history of science and European history at the University of Florida and a lecturer for Great Courses. He publishes widely on the history of science since the eighteenth century. David Livingstone and the editors.